This is a screen shot of Guyver I* which you will find on nearly every Guyver site there is. 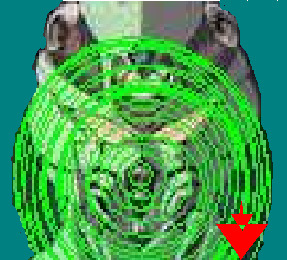 I enhanced this picture to make it look as though the Guyver was using his sonic waves. Because I enhanced this picture I put this site's logo in the picture.